Will your patent assignment document satisfy new European Patent Office requirements? the assignment document must include the precise job title of each person who signs the document. In the past, it was common for a patent holder to execute an assignment in favor of an assignee, without the assignee signing the document. 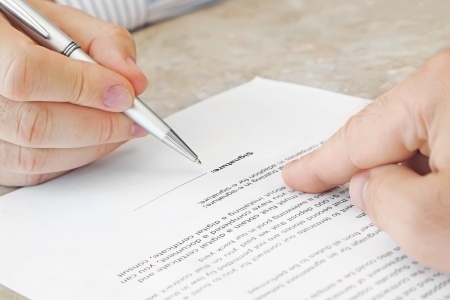 Under the new Guidelines, the EPO will no longer accept an assignment document that uses the single-signature format. In the past, some assignment documents would list the signing party as something like “authorized representative.” This EPO will no longer accept this practice, either. The new Guidelines only affect the transfer of pending applications, not granted patents. However, transacting parties should consider following the new Guidelines in all patent assignments, since the general contract laws of several European countries (including Great Britain and France) typically require both parties to sign a contract. The new Guidelines are also consistent with Article 72 of the European Patent Convention, which states that an assignment of a European patent application requires “the signature of the parties to the contract” (emphasis added). 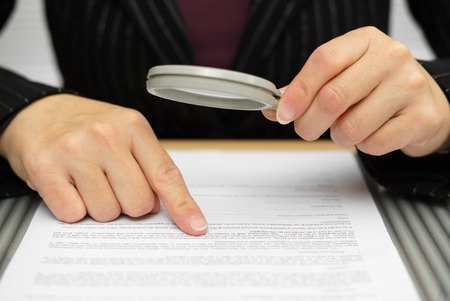 Do your employee/contractor non-disclosure agreements comply with new DTSA notice requirements? Have you updated your company’s form employee and independent contractor non-disclosure agreements lately? Do they comply with the notice requirements relating to “whistleblowers” that took effect May 11, 2016 under a new federal law? If your answer is “no” or “I don’t know”, read on. The new Defend Trade Secrets Act helps U.S. businesses protect their trade secrets by asking federal courts to order seizure of property necessary to prevent dissemination of the trade secrets. It also permits businesses to seek injunctions and damages in federal court for trade secret misappropriation. An individual shall not be held criminally or civilly liable under any Federal or State trade secret law for the disclosure of a trade secret that (a) is made (i) in confidence to a Federal, State, or local government official, either directly or indirectly, or to an attorney; and (ii) solely for the purpose of reporting or investigating a suspected violation of law; or (B) is made in a complaint or other document filed in a lawsuit or other proceeding, if such filing is made under seal. An individual who files a lawsuit for retaliation by an employer for reporting a suspected violation of law may disclose the trade secret to the attorney of the individual and use the trade secret information in the court proceeding, if the individual (A) files any document containing the trade secret under seal; and (B) does not disclose the trade secret, except pursuant to court order. The immunity section of the DTSA is especially important for employers because it requires employers to provide with notice of the DTSA’s immunity clauses “in any contract or agreement with an employee that governs the use of a trade secret or other confidential information.” The Act defines “employee” to include both actual employees and independent contractors. If an employer does not comply with the notice requirement, the employer’s ability to recover damages against that employee in a federal action for theft or other misappropriation of trade secrets will be limited. Employers can comply with the notice requirement by updating their form employee and independent contractor agreements to include either the notice requirement or a cross-reference to a policy document (such as an employee handbook) that states the employer’s reporting policy for a suspected violation of law. For additional information about the DTSA, including the law’s seizure and damages provisions, see this previous IP Spotlight post. IP3 creates a patent marketplace that brings together a pool of significant money from [participating] companies … to purchase patents in a format that allows sellers to set their own price for their patent assets and reduces the time and complexity usually associated with patent transactions. IP3 builds on the success of Google’s innovative 2015 Patent Purchase Promotion (PPP), and seeks to attract the submission of high quality patents from patent owners across a wide array of industries during a limited time period. Participating companies include Google, Facebook, IBM, Microsoft, Adobe, SAP, Ford, Honda , Hyundai, Kia Motors, Verizon, Cisco, Arris, leading cable service providers, and others. Technologies that the group is particularly interested in include enterprise software, communications, networking, semiconductors, content delivery and cloud computing. The IP3 portal (ip3ast.com) will be open from May 25, 2016 to June 8, 2016. AST expects that all transactions will be completed by the end of September 2016. What did Lexmark v. Impression Products change about U.S. patent law? Actually, not much. However, it did resolve a controversy that was brewing after two Supreme Court decisions called into question whether selling a patented article outside the United States would exhaust the patent holder’s rights to exclude use or sale of that article inside the United States. The case also confirmed that patent holders can impose post-sale restrictions in the terms of sale when selling patented articles. In Lexmark Int’l Inc. v. Impression Products, Inc. (Fed. Cir., en banc, Feb. 12, 2016), Lexmark sold patented printer ink cartridges under a two-tiered pricing program: (1) a low price with permission for only a single use; and (2) a higher price with no use restrictions. 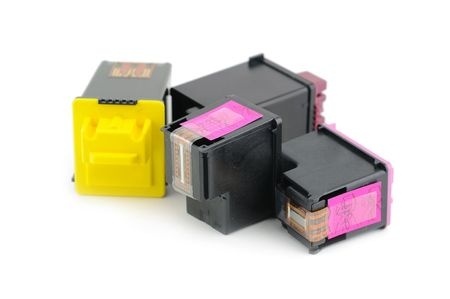 Lexmark sued several aftermarket cartridge sellers who were refilling and reselling cartridges that were originally sold under the single-use price model outside of the U.S.
“Patent exhaustion” is the legal doctrine that provides an authorized purchaser of a patented article the authority to engage in certain activities that the patent would otherwise prohibit. The authority given by patent exhaustion include reselling the patented article. However, that authority is not without limits. For example, in a 2001 case (Jazz Photo Corp. v. Int’l Trade Comm’n), the Federal Circuit ruled that a sale of a patented article outside the United States does not authorize the buyer to import the article back into the United States or sell the article within the United States. In Lexmark, the Federal Circuit considered whether the limitation of Jazz Photo should still hold after the U.S. Supreme recently reached a different conclusion with respect to copyrights. In Kirtsaeng v. John Wiley & Sons, Inc., the Supreme Court ruled that the Copyright Act’s “first sale” doctrine permitted an authorized purchaser of a copy of a work to resell that copy regardless of where it is purchased. However, in Lexmark the Federal Circuit declined to apply the reasoning of Kirtsaeng to U.S. patent law. The court noted that the Copyright Act expressly gives owners of copyrighted items to take certain acts with respect to the item, but that the Patent Act includes no equivalent provision. [a] sale made under a clearly-communicated, otherwise lawful restriction as to post-sale user or resale does not confer on the buyer and a subsequent entity the ‘authority’ to engage in the user or resale that the restriction precludes. The court noted that it reached the same conclusion in several decisions dating back to its 1992 decision in Mallinckrodt Inc. v. Medipart, Inc., and it declined to change that precedent in this case. While the Federal Circuit’s decision maintained the status quo, that status could be questioned again if the Supreme Court decides to review any aspect of the decision. To help protect against possible changes by the Supreme Court, which has been very willing to trim the rights of patent holders in recent years, patent holders who sell products abroad may wish to include contractual terms that clearly restrict resales within the United States. Patent holders also may wish to explore contractual relationships that do not result in a “sale” such as a sale by an affiliated foreign entity that is not the patent holder (and not subject to U.S. patent rights), or an arrangement in which the patent holder retains title to the article. This post is more about the “business” than the “intellectual property,” but I thought that IP Spotlight readers would be interested in a recent blog post by my partner Catherine Wadhwani, who reminds tech companies and other employers that hire talented foreign professionals who may need H-1B sponsorship about an upcoming deadline for filing H-1B petitions. Companies who are hiring (or who plan to hire) a foreign professional should be aware that the timing of a cap-subject H-1B petition is extremely sensitive. The time to file an H-1B-cap subject petition is fast-approaching and it’s best to be prepared. For more information, here is a link to Catherine’s post discussing the upcoming “H-1B cap season”. It’s always important to ensure that intellectual property agreements are carefully drafted. However, on rare occasions a court will see past a drafting error and interpret an agreement to match the apparent intent of the parties, even if certain language of the agreement may conflict with that interpretation. This happened in a recent case from the Southern District of Indiana. In a consolidated order involving suits that GS CleanTech Corporation (CleanTech) brought against various defendants in that court, the defendants filed motions for summary judgment and asserted that CleanTech lacked standing to bring the suit because CleanTech had not established title to the asserted patents. CleanTech acquired the patents from GS Ethanol Techs. Inc. (GSET) and other entities by an assignment agreement dated May 15, 2009. The defendants asserted that the chain of title in the patents was broken by a January 2008 Security Agreement in which GSET and the other owners conditionally assigned the patents to YA Global Investments, L.P. (YA Global). The defendants argued that although the document was titled “Security Agreement,” it was actually an assignment because of the grant clause conveyed “a continuing interest in the patents” to YA Global. The wording of the grant clause was immediate, the agreement was recorded against the patents, and so the defendants argued that the Security Agreement passed ownership of the patents to YA Global. The court disagreed, stating that the remainder of the Agreement made it clear that the intent of the document was to grant “a continuing security interest in the patents” rather than actual title, even if the grant clause didn’t include that specific word. This year’s 3 Rivers Venture Fair is scheduled for October 7 and 8, 2014 at PNC Park in Pittsburgh, PA. The 3RVF connects investors, entrepreneurs, business leaders and service providers who are interested in discovering innovation breakthroughs, ground-floor investment opportunities and trends in industries ranging from life sciences, to energy, to manufacturing, to electronics and software, and more. The 3RVF is accepting nominations for presenting companies, but the available slots are filling fast. Companies seeking venture investment should click here to apply to be considered for a presentation as a featured company. Or, if you know a rising company who may benefit from the exposure and potential investment, nominate that company via the attached link. Presenting companies will receive free admission to the event, and will participate in a Presenters’ Bootcamp to help sharpen presentations prior to the main event. Although the application deadline is August 13, several presentation slots have already been filled. And when the slots are gone, the application process will be closed. So, apply now to be considered. See you at the 3RVF!